Let’s Do Some Business Brainstorming to get Clarity! 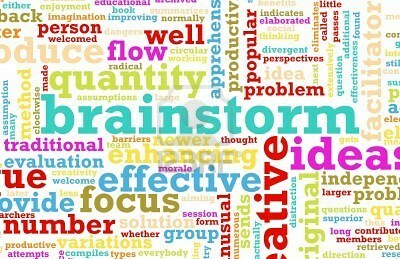 Brainstorming: A process for generating creative ideas and solutions through intensive and freewheeling group discussion. Attendees will contribute as business owners, consumers, potential clients/customers and advisors. Bring your creative ideas, an open mind and an intense desire to build your business and share your ideas with others in the group.